Another AAIG Development home is under construction. Some colors made be able to be made based on when you write your offer to purchase.Expect the best quality construction in the area with pride of building. Looking for an open design concept which is great for entertaining, and a split floor plan on the bedrooms. Endless views of the mountains off the rear yard backing to a wash. Tech shield radiant barrier, R-50 in the ceilings and R-21 wall insulation. 10' plate with 8' interior doors Quartz counter tops, tiled wood plank flooring, Sante Fe textures on the interior walls and floor to ceiling travertine tile set walk in showers. A pool sized yard and a 38' deep boat garage for all of your toys. Come take a tour of Laughlin Ranch and see why there is so much building starting in the fabulous community today. 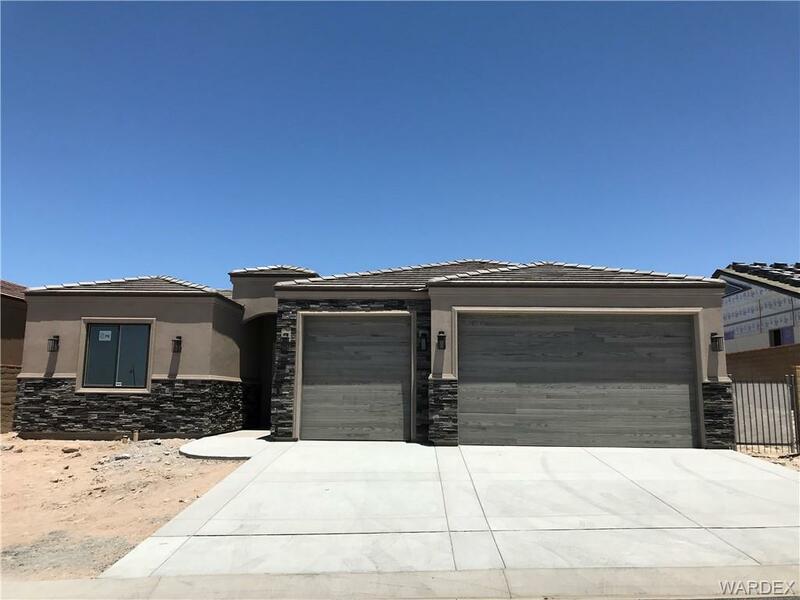 Located 5 minutes to Vegas style gaming, Colorado River and Lake Mohave. Owner is a licensed Realtor/Broker in the State of Arizona.